When people think of robot vacuums, Roomba usually comes to mind. Many people don’t realize that there is a wide variety of models in the robot vacuum line. Not only do they range in price points, but they also run the gamut when it comes to abilities. 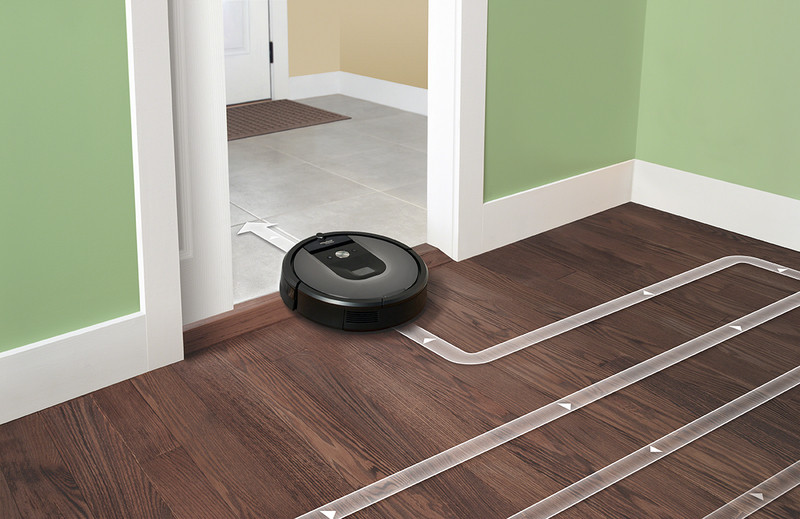 While there are many Roombas to choose from, our top pick goes to the iRobot Roomba 960. This model is both affordable and full of features. Read our iRobot Roomba 960 review to see if this is the right robot vacuum for you. With the many Roomba models, it can be hard to choose the best one available. The company is widely known for making high-quality robot vacuums. Even though some might say that the Roomba 980 is superior to the 960, the 960 model has as many of its capabilities for a few hundred dollars less than the 960. The lower price makes the 960 a winner. So what puts the Roomba 960 at the top of the high-end robot vacuum market? This model has so many features that set it apart, starting with an app that can do anything you need it to do. 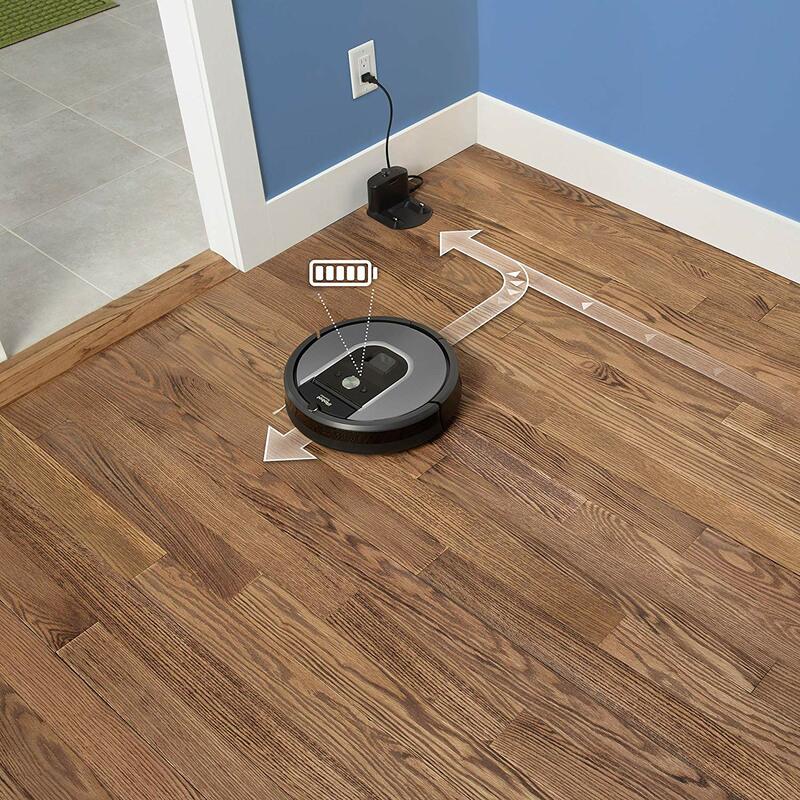 This robot vacuum relies on the app. While not everyone will love that, the app gives a lot of power to the device. You can set up no-go zones, create cleaning schedules, connect to smart home technology, and much more with your phone. 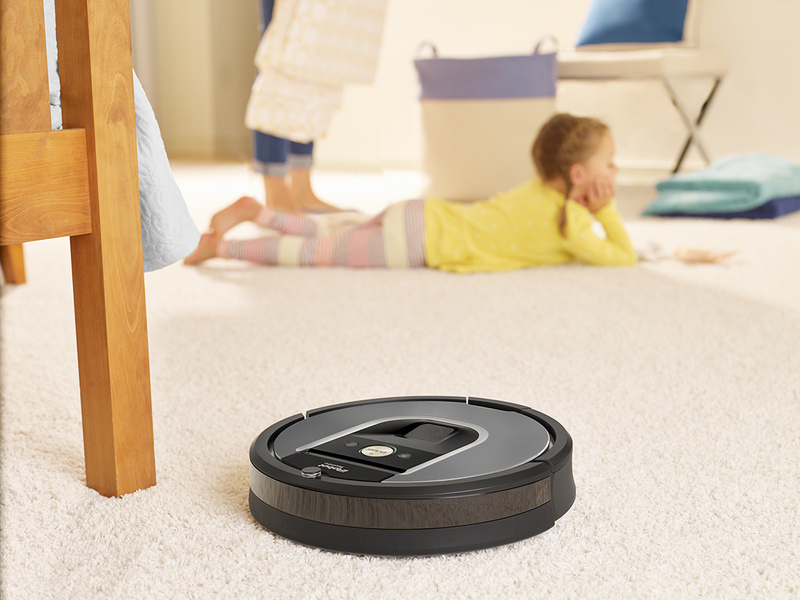 Learn more about this powerful vacuum in the rest of our iRobot Roomba 960 review. You may even find out that this robot vacuum replaces a more traditional model in your home. Advanced mapping: This robot can create maps for multiple floors, and the no-go lines work perfectly. 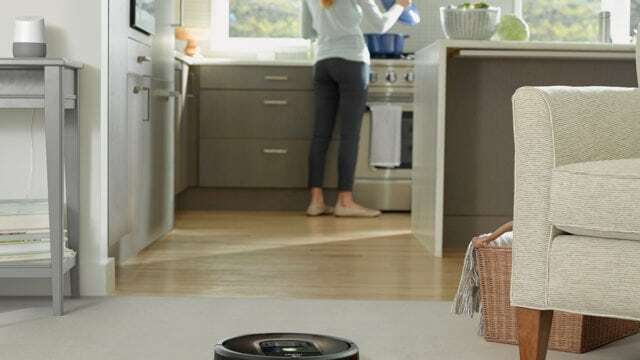 Simple set up: Unlike some robot vacuums that need a lot of setup before you can use them, the iRobot Roomba 960 can be set up within a few minutes. Quiet motor: This vacuum is quiet enough to do its job without disturbing you. High price: While the Roomba 960 has excellent features that make it worth the cost for some, people on a budget may want to choose a different option. Limited no-go areas: You can only make the no-go areas work with the app. No steering: The app doesn’t allow you to steer the vacuum. Short battery life: The battery on this vacuum lasts 75 minutes. That might not be enough time for bigger areas, and the long recharge time can mean that the appliance takes a long time to clean everywhere it needs to. This tool might look like your average robotic vacuum cleaner. However, it offers a lot more. This section of our iRobot Roomba 960 review will go over some of the critical features. 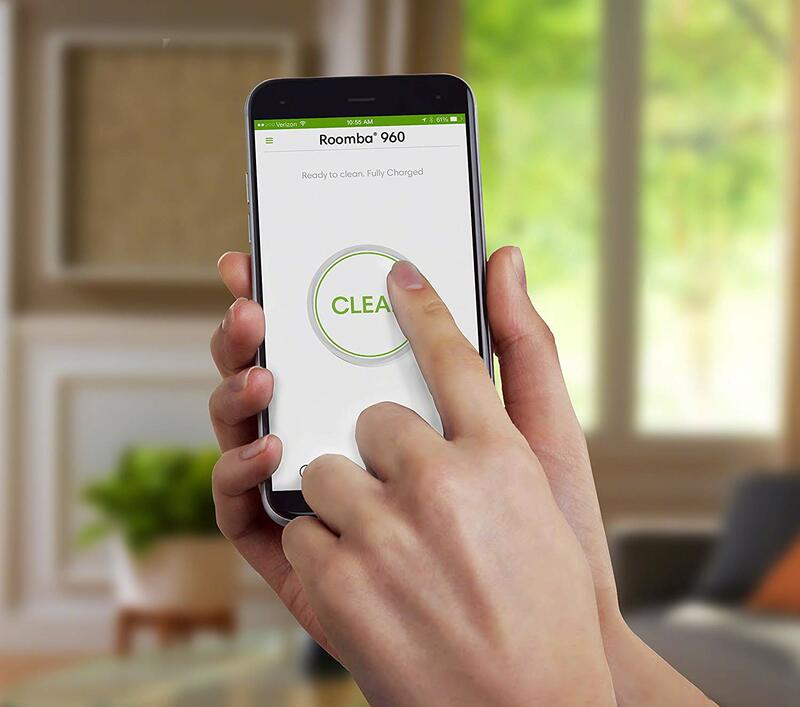 For anyone who picks up their smartphone every few minutes, you won’t mind that the iRobot Roomba 960 is app-dependent. 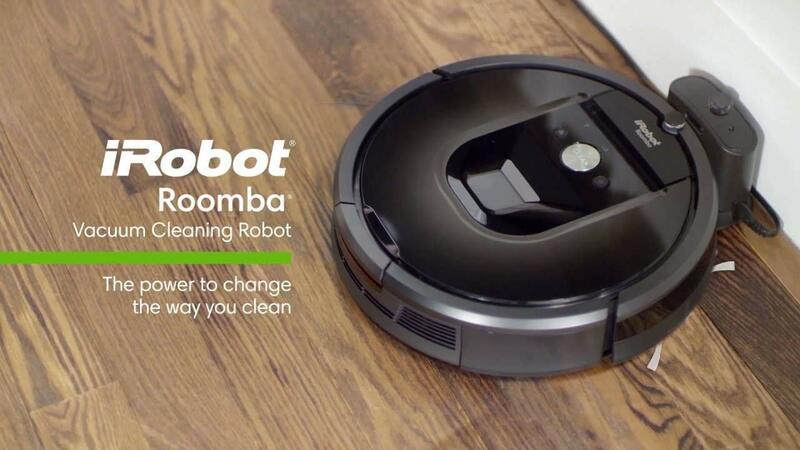 Instead of having a remote control, users can download the iRobot app to manage and control the robot cleaner. Whether it’s scheduling cleanings or making sure the bot mapped out a room correctly, all you need to do is start the app up, and the 960 will take care of the rest. In addition to also being WiFi capable, the vacuum has voice control capabilities. The Roomba 960 can also link to the Amazon Alexa, Android, Apple HomeKit, Google Assistant, Iris, Nest, SmartThings, and iOS. Because the iRobot Roomba 960 uses an app, users can find out when the robot vacuum’s bin is full and log the details of when cleaning takes place. It will also tell you when the battery is low. The 960 is an intelligent robot and makes for a great addition to a smart home. One of the reasons for this is the advanced mapping abilities. Because of the camera on the robot, it’s able to make a more accurate map of the rooms that it’s scanning during a cleaning cycle. This also means that it will be mindful of hazards like furniture during its run. It also can handle changes in floor surfaces seamlessly. You might be worried that the mapping technology on the 960 will push it to run over an area just once. 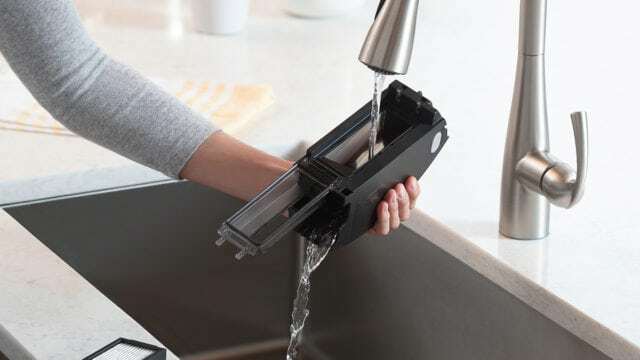 However, this model has many settings that will allow you to choose a one-pass cleaning mode, a two-pass cleaning mode, and an automatic mode. 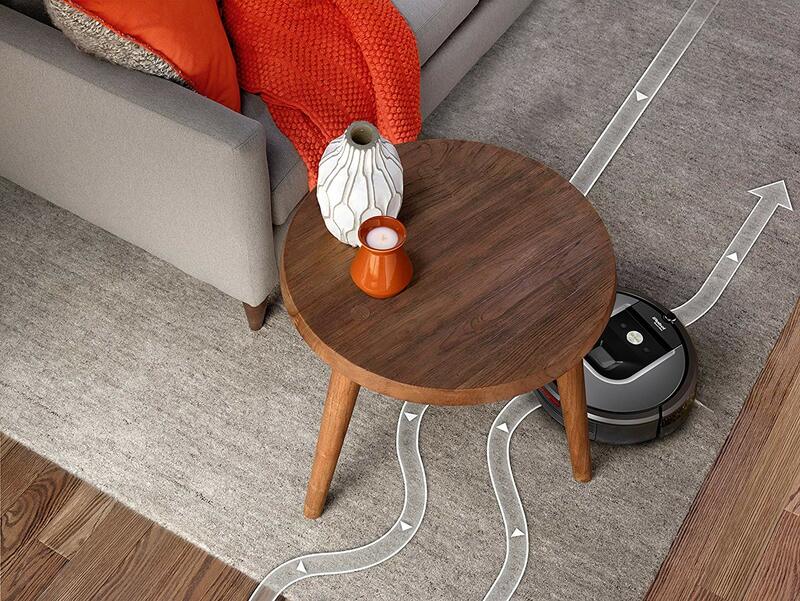 The last option lets the Roomba 960 decide how many times it should pass over an area based on the room’s size. 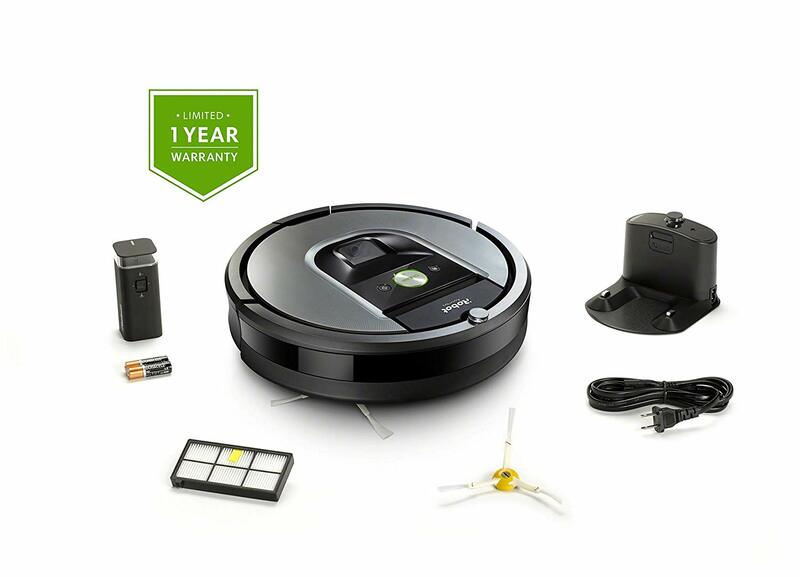 iRobot offers a limited warranty for one year. You can find out more information on iRobot’s warranty policy here. Other retailers offer additional protection for your robot vacuum. This section of our iRobot Roomba 960 review will go over the basics of some of these warranties. Replacement of vacuum if it needs repair for the fourth time (starts after the manufacturer’s warranty ends). 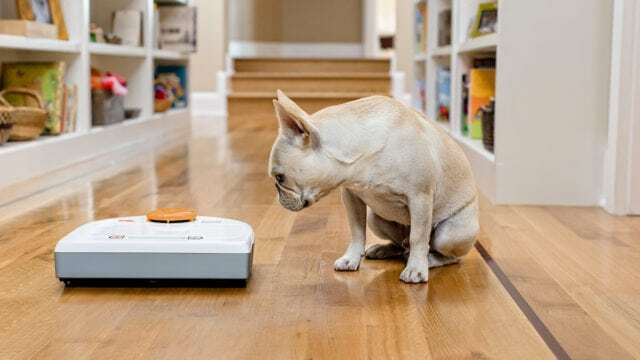 After our iRobot Roomba 960 review analyzing the product details and features, it’s clear that the iRobot Roomba 960 is a stellar robot vacuum. From its smart mapping technology to its ability to link to Alexa and Google Home, this vacuum cleaner ranks pretty high when it comes to others in the group. Sure, it doesn’t have a long battery life, but the other features make up for that. 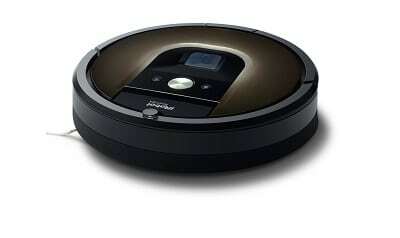 If you can afford the high price, we highly recommend the iRobot Roomba 960. Do you have this robot vacuum? If so, leave your own iRobot Roomba 960 review below.